Qwik-Zyme CS is a biocatalyst that will quickly break down high fructose corn syrup, corn starch, and other high molecular-weight polysaccarides into glucose for bacteria to quickly digest. This corn syrup degrader was designed to ease the wastewater process allowing major savings on treatment costs. 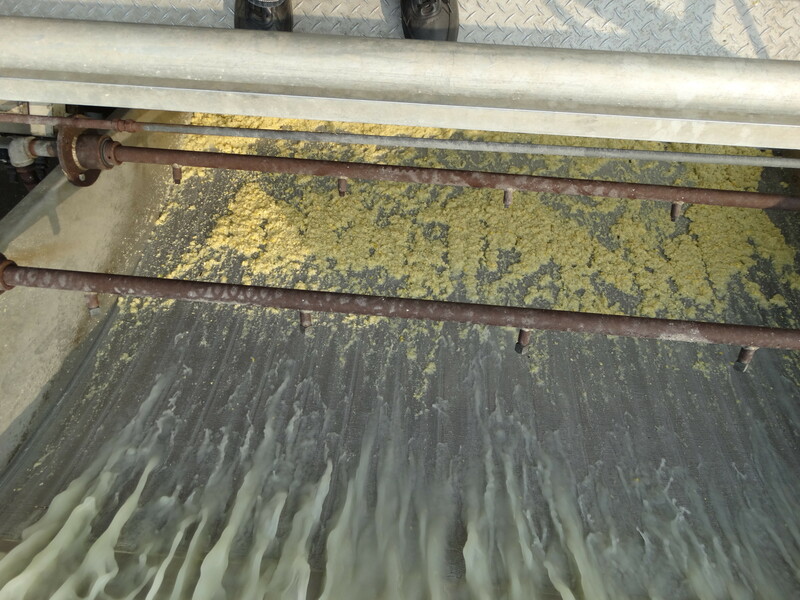 High Fructose Corn Syrup (HFCS), corn starch, and vegetable starch are among the most difficult complex carbohydrates to degrade in wastewater. These compounds are extremely high in BOD and their complexity resists bacterial breakdown. Facilities with these constituents in their wastewater try to counteract the high COD by over-aerating. Over-aerating increases bad odors, costs thousands of dollars in electrical bills, and only provides marginal reduction in COD. Aquafix, Inc. has developed a new biocatalyst to break down these complex, high molecular weight polysaccharides in wastewater processes. 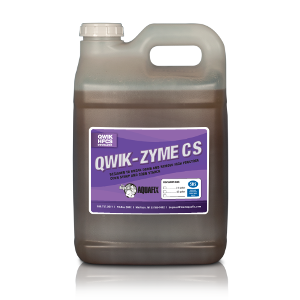 Qwik-Zyme CS speeds up the degradation of HFCS and vegetable starches while allowing major savings on aeration and other operational costs. When used for HFCS: Qwik-Zyme CS allows complete breakdown of HFCS into glucose to be further digested by bacteria. Its high-performing biocatalyst is an essential piece missing from HFCS wastewaters. When used for corn and vegetable starches: Qwik-Zyme CS is used to break down the complex starches into glucose and other bio-available simple sugars. Alternating between Qwik-Zyme CS and Qwik-Zyme P when breaking down starches allows the bacteria to access even more of the simple sugars and degrade them. Note: Dose rates are estimates, actual dose rates depend on the season and what type of wastewater treatment is used. Dosage rates listed below are based on 5,000 ppm of incoming COD. Water temperatures should be above 68°F (20°C). 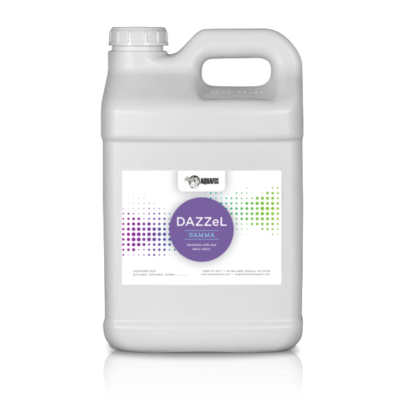 Product outperforms bacterial alternatives at any acidity, but works exceptionally well in a lower pH. At a pH of 3-6 Qwik-Zyme CS will degrade the corn syrup 10 times faster than normal. At a pH of 6-8, Qwik-Zyme CS will still perform three times faster than its bacterial alternative. *For vegetable canning facilities, alternate between Qwik-Zyme P and Qwik-Zyme CS. We do this because of the complex proteins present in vegetable starches. Alternating will speed the process of degradation.